Somewhere between Frog Level and Smyrna, North Carolina, way down on Highway 57, the ‘Pump Boys’ sell high octane and the ‘Dinettes’ serve up plenty of pie and sass at the Double Cupp diner next door. Together they fashion an evening of story and country songs that will have you stompin’ and yellin’ for more. With heartache and hilarity, they perform the stories of their lives on guitars, piano, bass and—believe it or not—kitchen utensils. With its Tarheel state roots, PUMP BOYS AND DINETTES is a love song to family, friends and fried chicken. 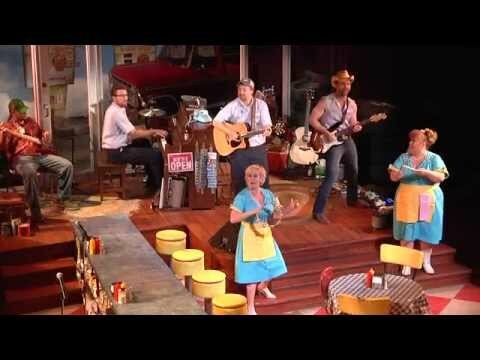 Watch the video: Catch a sneak peek at PUMP BOYS AND DINETTES. Video produced by Image Creations Digital Media. 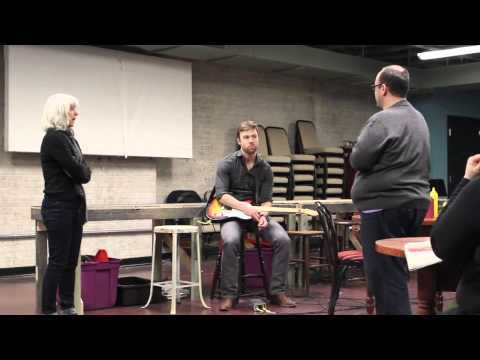 Catch a sneak peek at PUMP BOYS AND DINETTES. Video produced by Image Creations Digital Media. The only thing better than enjoying a homemade slice of pie while filling up your car's gas tank is being able to do both to the sounds of good music. Triad Stage's production of Pump Boys and Dinettes is a toe tapping, knee slapping, fish frying goodtime!